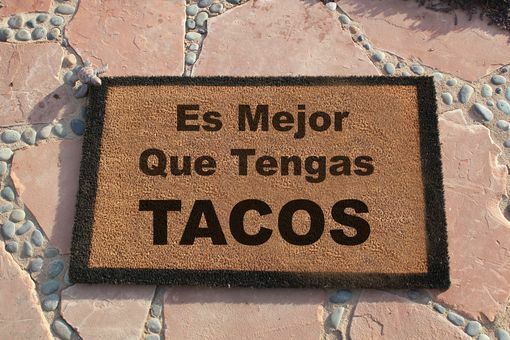 Es Mejor Que Tengas Tacos. Spanish Housewarming Gift Hand Painted Custom Door Mats! This is the "I'm hungry and you better come bearing gifts" door mat shop.